Welcome to the Florida Public Human Resources Association! 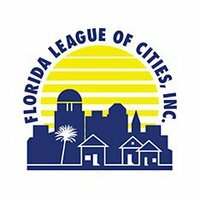 The Florida Public Human Resources Association, Inc. (FPHRA) is a professional organization with the objective of forming closer relationships among the various public human resource agencies within the State of Florida. FPHRA Members have the opportunity to interact with others in the profession for the purpose of sharing information. They receive a newsletter with up-to-date information on what is happening in the field, notices of regional training seminars, and are provided an opportunity to attend a yearly training conference. The FPHRA website is provided at no charge to members as a valuable information resource. FPHRA also provides access to Florida’s largest public-sector salary and benefits surveys for its members. Check the Events tab for our upcoming Regional Workshop and Conference information! We are always looking for volunteers, if interested, check out the Volunteer Form on the Member Area tab to see how you can get involved!